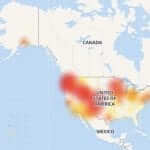 A massive Comcast telephone outage is affecting businesses and homes alike across the United States for the second day in a row. States coast to coast are affected, including California, Washington state, New York, Georgia, Florida and Pennsylvania, along with inland states like Colorado and Illinois. Major cities that are effected include Chicago, Portland, San Francisco, Seattle, Jacksonville, Denver, Houston, Atlanta, Manhattan, and Philadelphia, along with many outlying cities in those areas. Said Comcast on their Twitter feed, earlier this morning: Outage Update: Phone services for most customers have been restored. Unfortunately, a small group continue to see issues. We are working hard to restore services to all and apologize for this inconvenience. However, for thousands across the country that is still not the case. We’d like to take this opportunity to point out that in many parts of the country POTS (plain old telephone service) is available, and a good idea. 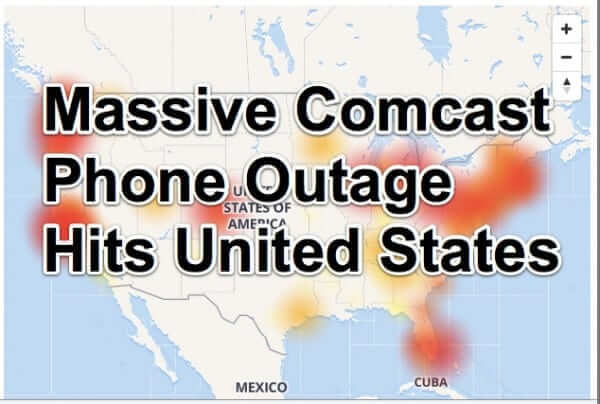 If it is not available in your part of the country, then there still may be an alternative to Comcast, whose suckitude is legendary. Here in Colorado, where the Internet Patrol is based, we have the option of CenturyLink for both Internet and telephone service. Unfortunately, there are many areas where Comcast is the only show in town. 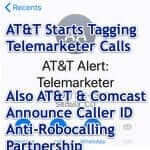 And in those areas, people are at the mercy of the cloud-based Comcast telephone system. We were first made aware of this outage when we discovered that three separate businesses – to whom we were trying to give business – were unreachable between today and yesterday. 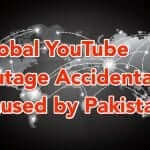 We have to assume that the net loss of business, across all businesses affected by this outage, has to be enormous, and we look forward to the class action lawsuit that we hope will come out of this. Because Comcast has deserved a comeuppance for a long time. How about you? Have you been personally affected by this nationwide Comcast outage? 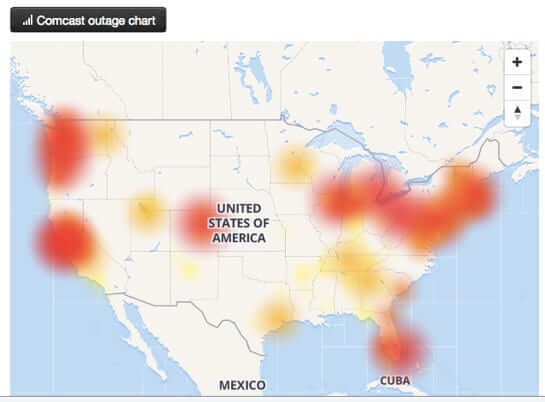 A massive Comcast telephone outage is affecting businesses and homes alike across the United States for the second day in a row. States coast to coast are affected, including California, Washington state, New York, Georgia, and Pennsylvania, along with inland states like Colorado and Illinois. Major cities that are effected include Chicago, Portland, San Francisco, Seattle, Denver, Houston, Atlanta, Manhattan, and Philadelphia, along with many outlying cities in those areas.